Viewed by many as the world's finest acoustic pickup for your electric guitar! Fishman Powerbridge pickups offer you a palette of incredible acoustic and hybrid acoustic/electric sounds, for Fender® Strat, Tele and Gibson® Les Paul® guitars. Used by musicians worldover including Peter Stroud and Aerosmith, this pickup gives you all the benefits of an acoustic pickup on your electric guitar. Piezo replacment bridges offer you a versatile collection of acoustic and mixed electric/acoustic tones. The Fishman Powerchip is recommended, but not required, for all Powerbridge models and will fit the Modern T-Style (American Standard Telecaster) with closer lead pickup spacing. A Powerchip preamp is recommended, but not required, as is professional installation if you are at all unsure. To read more about the Fishman Ast Powerbridge Pickup please download the user guide below. 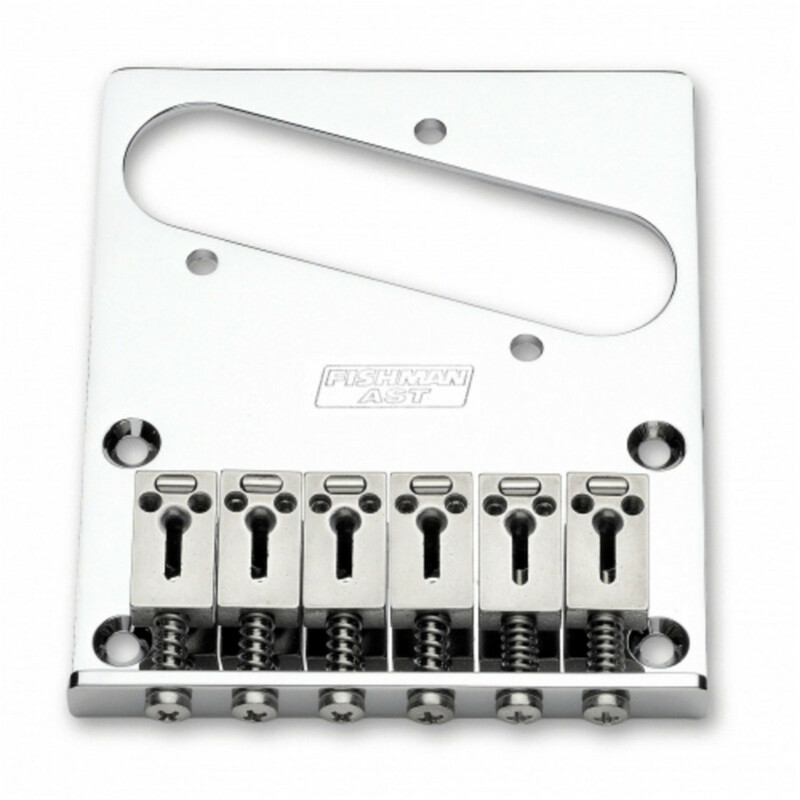 To read more about installation of this pickup you can download the installation guide and drilling template using the buttons below.